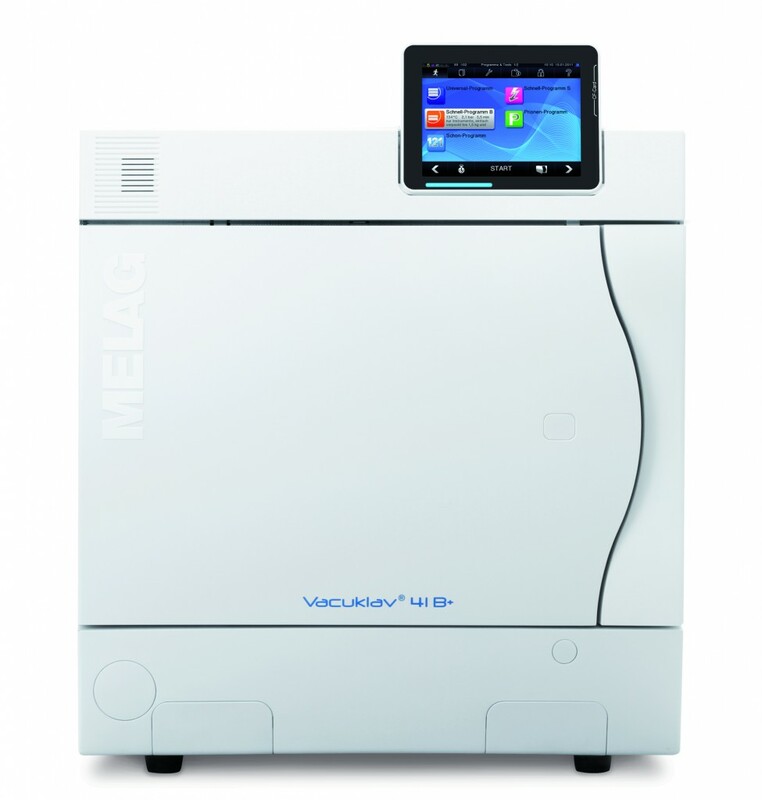 The Melag Evolution 41B, 18L, B Class autoclave is a complete Standalone unit, simply plug in and use. The fast cycle speed and performance of the Melag autoclave is based on innovative Twin chamber technology. For fast performance, select Quick Program "B" to sterilise wrapped instruments in 20 minutes and unwrapped in only 10 minutes. Both programs include fractionated pre-vacuum and drying. Quality assurance and safety are made easy thanks to the integrated software that allows tracking of each sterilised instrument. An optional Label printer MELAprint 60 allows you to print labels with a bar code. The data can be scanned and linked to the patients' record. 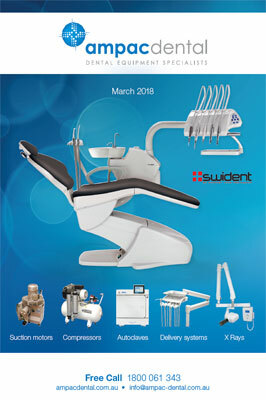 The 41B 18L, is manufactured with a depth chamber of 35cm, 8 trays and precise management of a maximum load of 9kg of instruments. 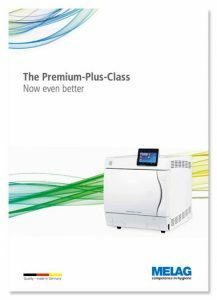 For a heavier workload, look no further than the 43B 22L standalone autoclave with depth chamber of 45cm.